Why just last week, when the 2018-19 NHLPA Player Poll was released, 31.7 percent of the more than 500 players who participated voted Victor Hedman, the Tampa Bay Lightning’s reigning Norris Trophy winner, as best defenceman. Another Swede in San Jose Sharks’ Erik Karlsson finished fourth in voting at 9.5 percent. But the list of brilliant Swedish blueliners doesn’t stop at Hedman and Karlsson. Just take a look at the nightly highlights or check out the box scores and you’ll see names like Jonas Brodin (Minnesota Wild), Rasmus Dahlin (Buffalo Sabres), Mattias Ekholm (Nashville Predators), Oliver Ekman-Larsson (Arizona Coyotes), Oscar Klefbom (Edmonton Oilers), John Klingberg (Dallas Stars), Adam Larsson (Edmonton Oilers), Hampus Lindholm (Anaheim Ducks) and Marcus Pettersson (Pittsburgh Penguins). They’re all 28 or younger. They all were in their early days playing hockey back home when Hockey Hall of Famer Nicklas Lidstrom was in his prime. The former Detroit Red Wings captain was a seven-time Norris Trophy winner, four-time Stanley Cup champion and a member of the Triple Gold Club after his gold-medal efforts at the 1991 world championship and 2006 Olympics. He left quite a legacy behind with his fellow countrymen. 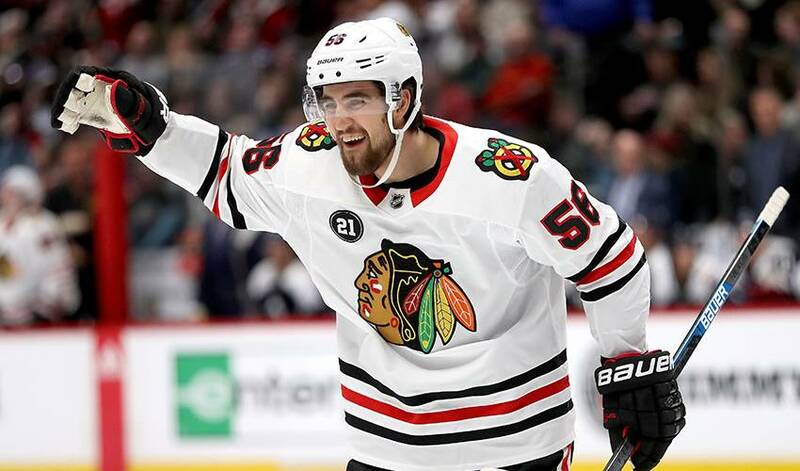 “Oh yeah, for sure, he was a big idol for me,” said Chicago Blackhawks defenceman Erik Gustafsson, one of the latest Swedish defencemen to skate to the forefront. Only Morgan Rielly of the Toronto Maple Leafs has scored more goals at 20 than Gustafsson’s 16 this season. At 27, Gustafsson is finishing his first full season with the Blackhawks. He comes from a hockey family. His dad played as does his older brother Joakim and his younger brother Glenn, who performs for Orebro in Sweden’s top league. Glenn also was invited to a Maple Leafs development camp in 2017. When Erik Gustafsson was 12, he attended a summer hockey camp in suburban Stockholm. One day Lidstrom showed up to address the participants. Afterward, Gustafsson had an opportunity to meet Lidstrom and shake his hand. But he was too awestruck to speak to his idol or ask him for an autograph. Through the 1990s and 2000s, the four main Swedish hockey players were Mats Sundin, Peter Forsberg, Markus Naslund and Lidstrom. Sundin was two months older than Lidstrom, but the latter played longer and had more success than any of this famous Tre Kronor foursome. The Oilers drafted Gustafsson in the fourth round (93rd overall) at the 2012 NHL Draft, but they never signed him. The Blackhawks liked what they saw after a couple of strong seasons with Frolunda HC and signed him as a free agent in 2015. He was named to the 2018 AHL all-star game and finished the season with the Blackhawks. They didn’t make the playoffs, but Gustafsson was invited to play for Sweden at the 2018 world championship in Denmark last spring. This was Gustafsson’s second tour of duty with Sweden. The first time was in 2016 when Sweden finished sixth. This time Sweden struck gold. “After the season we had in Chicago this was a great result,” Gustafsson said. “The first time I played for Sweden didn’t go that well. This time the team came together, played well and we all had a lot of fun. And, of course, carry on the Swedish legacy of Lidstrom.